This template of a car repair garage is best showcased on a digital screen atop the garage premises as well as at the entrance. In recent times technological advancement in digital signage screens have taken the visual appeal to new heights. 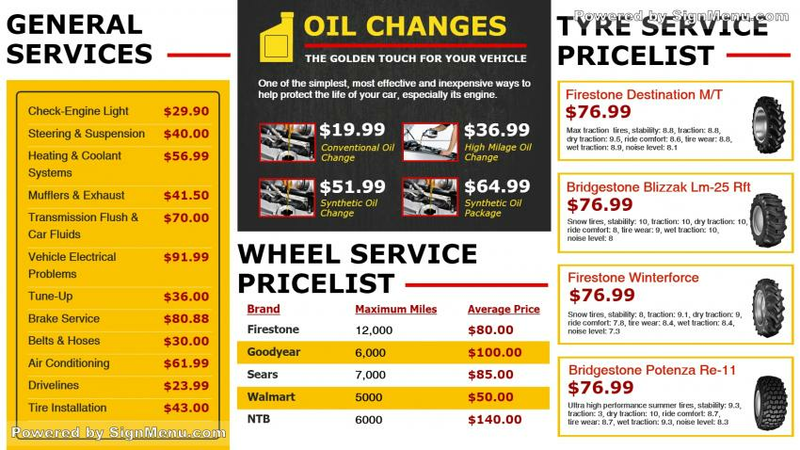 Even a menu with purely technical content, as of a car repair garage with graphics, looks compelling on a digital signage screen and evokes the interest of the target audience. This template provides a benchmark for your actual screen and is ready for download and use.